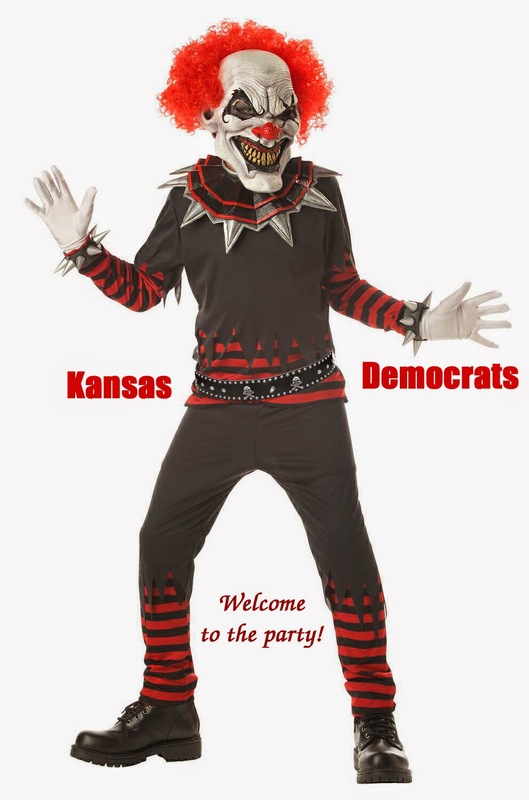 Political operatives damaged Kansas Republicans yesterday. 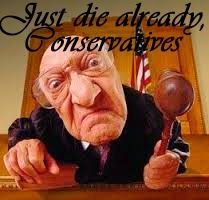 And by operatives, I mean Kansas Supreme Court justices. The state court decided yesterday that Democrat Chad Taylor can be removed from the ballot for U.S. Senate. Somehow, the Democrats who spent money, blood, sweat and tears, campaigning to get Taylor elected during the primary don't give a single care at all that their candidate wants to be removed from the ballot. Weirdly, they don't even care if Taylor is replaced on the ballot. They really are evil clowns. Taylor should be outraged that he wasted time and resources running for election only to be pushed off-stage by an independent a Democrat without the decency to admit he's a Democrat. So, Kobach's decision was politicized, but the Court's decision wasn't. And somehow Taylor's decision -- and that of the Democrats' -- to run side-step the two-party system wasn't political or questionable. The Dems live on some planet where the rules really, really don't matter. There's no such thing as fair play, reasoning, or law. Winning is the only thing that counts, and if you have to do it by cheating? Well, winning. And they cheat, lie, steal, politicize, get in bed with some people (ahem, George Soros) while attempting to assassinate the character others (ahem, the Kochs). Meanwhile, they take the moral high ground. They should be ashamed. They aren't. But they should be.